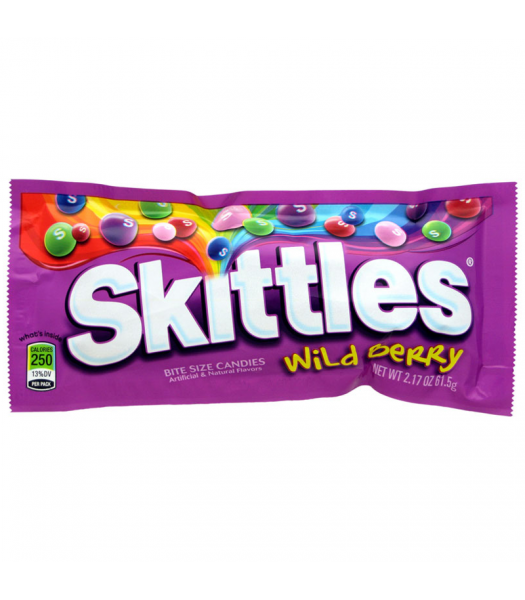 Taste a new rainbow with this bag of Wild Berry Skittles! 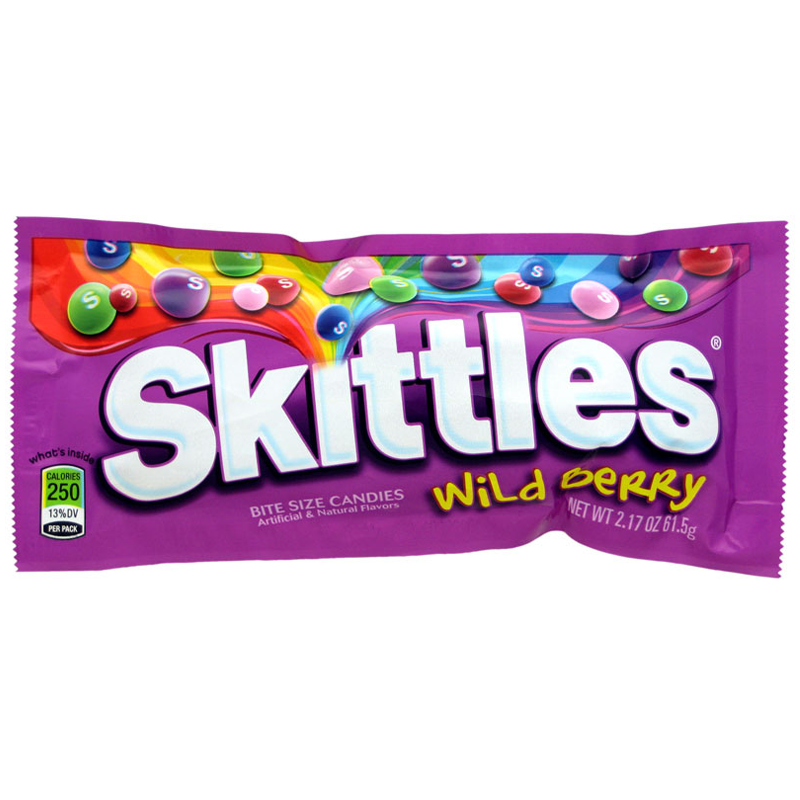 This variant on the Skittles flavours has been around in the States since it's launch in 1989! It contains four deliciously berrilicious flavours including; Strawberry, Raspberry, Wild Cherry, Melon Berry and Berry Punch. You'd be berry mad not to try them!